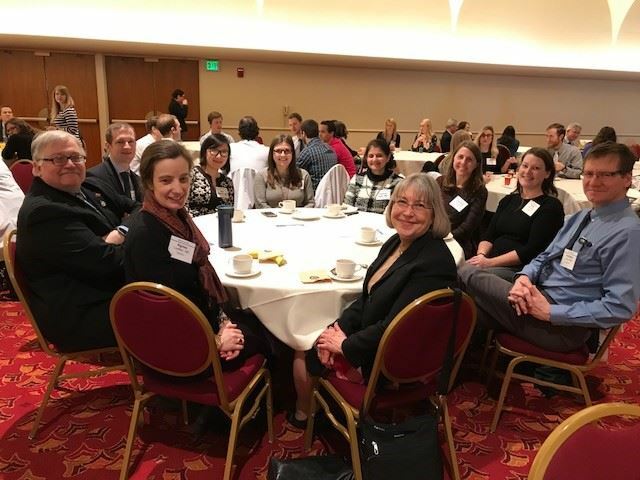 Doctor Day Board and Members at the 2018 Doctor Day event held on January 30, 2018 in Madison, WI. To help ensure that patients with these cancers are accurately diagnosed and effectively treated, the College of American Pathologists (CAP) released its newest evidence-based practice guideline, "Human Papillomavirus (HPV) Testing in Head and Neck Carcinomas." The guideline comes at a much-needed time. HPV-positive head and neck cancer is on the rise in the U.S., with the greatest increase among middle-aged Caucasian men. Click here to view the 2017 WSP Annual Conference photo gallery! Your calls are needed to both the State Assembly and State Senate to explain why the proposed health care fee schedule could harm Wisconsin’s model worker’s compensation system. You can find your legislators contact information on the state legislature’s website. Numerous state and national organizations across the country are asking the Senate to join the House in voting to repeal the Independent Payment Advisory Board (IPAB) before the end of the year. There is a broad and growing bipartisan consensus, in Congress and across states that IPAB should be repealed. Senate bills introduced by Senators Cornyn (R-TX) and Wyden (D-OR) have proposed repeal of IPAB. These bills have over 51 co-sponsors from both parties. The FY2017 omnibus spending bill agreed on in May eliminated funding for IPAB. And both the House and Senate FY2018 Labor-HHS-Education appropriations proposals eliminate this funding as well. Concerns over IPAB include both its purpose and the board’s composition. The board is charged with developing proposals to reduce Medicare spending, but its membership is comprised of individuals appointed by the President with no Senate confirmation. This combination creates the very real possibility that the future of Medicare may be determined by a small number of unelected bureaucrats. Contact your Senator today and urge them to repeal IPAB: Senator Ron Johnson (email) and Senator Tammy Baldwin (email). The Wisconsin Medical Society Board of Directors has named Clyde “Bud” Chumbley, MD, MBA, chief executive officer of the Wisconsin Medical Society. In addition to caring for patients as a board-certified obstetrician/gynecologist throughout his 36-year medical career, Dr. Chumbley has held numerous leadership and management positions, including serving nearly 20 years as president and CEO of a large, independent multi-specialty medical group practice. He currently serves as chief medical adviser for Wisconsin Medical Society Holdings and as chief medical officer for the Wisconsin Medical Society Holdings Association Health Plan. Past leadership roles in Wisconsin include serving as chief medical officer/chief clinical integration officer for Aspirus Health and president of Aspirus Clinics, and as president and CEO of ProHealth Care Medical Associates. He also has served on the board of directors and as past chair and treasurer for the Wisconsin Collaborative for Healthcare Quality. In Texas, he served as chief medical officer for Scott & White Healthcare in the Austin region. Doctor Chumbley is a graduate of the University of Missouri School of Medicine and the Kellogg School of Management at Northwestern University and holds medical licenses in Wisconsin and Texas. Doctor Chumbley is the eighth Society CEO in its 176-year history. Susan L. Turney, MD, MS, FACMPE, FACP, was the first physician to hold the position from 2004 to 2011. Madison – The Wisconsin Society of Pathologists (WSP) has awarded Dr. Guillermo Martinez-Torres with the first Raymond C. Zastrow Award for leadership, service and advocacy efforts to the society and profession. Dr. Martinez-Torres is the president of North Shore Pathologist, SC. He serves as Chair of Pathology and Laboratory Medicine at Ascension/Columbia-St. Mary’s in Milwaukee. Dr. Zastrow was active in the State Medical Society of Wisconsin, and he served as president of the Wisconsin Society of Pathologists from 1983 to 1985. Dr. Zastrow’s colleagues remember him as a down-to-earth man of perpetual drive, curiosity, and vision. The Raymond C. Zastrow Award recognizes individuals, WSP members, that contribute to the society and pathologist profession. To nominate someone for the award, please visit https://wsop.wildapricot.org/page-18062. The Wisconsin Society of Pathologists (WSP) represents over 70 pathologists in the state of Wisconsin. WSP is the professional organization for practicing pathologists in the State of Wisconsin.